Note: I paid for the trip and the review was conducted anonymously. Views are my own. Promise! 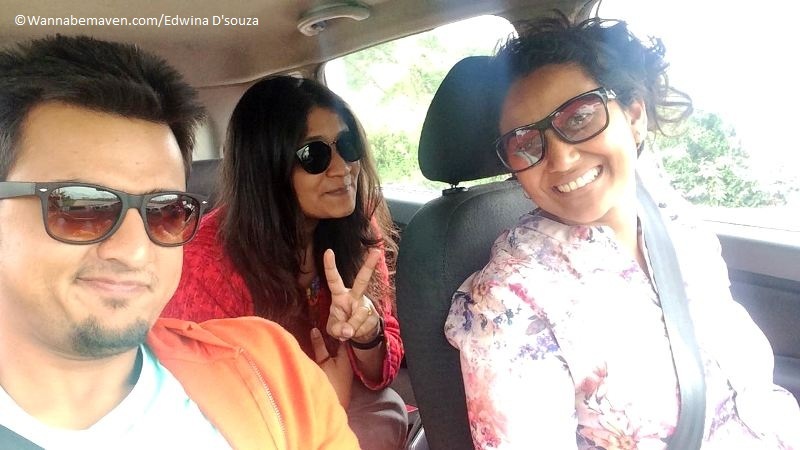 For someone who LOVES driving as much as she LOVES travelling, Zoomcar and similar concepts are a blessing. You’ll notice many of travel experiences involve road trips, because…I simply love the roads. It’s not about getting to a destination but the journey itself – watching the landscape change from your windshield – one moment it’s barren, the other moment it’s lush green from the drizzle of the rain. One moment you’re driving on a smooth expressway, the next moment it’s potholes and rumblers. That dilemma, standing at the crossroad and thinking is this the right turn? Driving up and down ghats; that internal panic on running out of fuel with no petrol pump in view; and that joy of driving in a new city – UNBEATABLE! Over the years, I’ve done road trips from Mumbai to Goa, Ahmedabad, Hampi, Hyderabad even, apart from exploring my own backyard – Maharashtra. Every time the experience is different. One that gives me a high! It’s no surprise then that I had been toying with the idea of trying Zoomcar for quite a while – a year to be precise. When I first heard about them, I thought they were a cool concept. Finally I decided to give them a go for my trip from Bengaluru to Mysuru and back. What ideated as a solo trip turned from two to THREE people. There was an advantage to that though – we could hire a self drive car since expenses would be split. Otherwise, there was NO WAY I could afford a Zoomcar. Let me make it clear here, by no means is Zoomcar for a solo budget traveller. In fact, we came up with several options to save cost while booking a Zoomcar like picking the car in Bengaluru and dropping it in Mysore before returning or picking the car in Mysore itself for local sightseeing. However, in the broader sense, we found value for money to drive down from Bengaluru to Mysore and back over 3 days. The process to book a Zoomcar was pretty straightforward. I booked the car via their app in four steps. Sign up, choose your city, pick up/drop off point and date of travel. 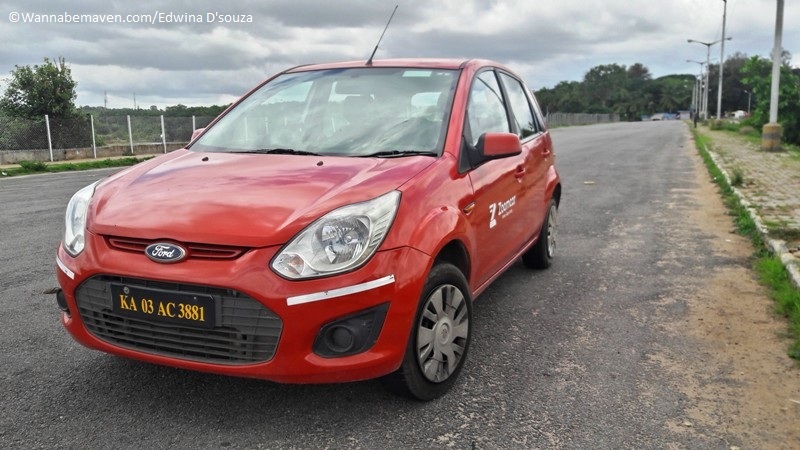 Zoomcar calculates a package based on their available fleet of cars. Additional kilometres are charged over and above that. Once you’ve selected your package, proceed to pay. Here you will also upload a picture of your driving licence. I simply clicked a photo from my phone and sent it. Zoomcar takes about a couple of hours to verify the licence. In my case, I got a notification in 5 minutes stating that my license has been rejected because they couldn’t identify me in the photo. No biggie! I clicked the photo again – and this time zoomed on my face. They accepted the license and I had finally booked the car. I’d suggest booking a Zoomcar at least a week prior if you want the option to choose your preferred vehicle. Often popular cars (by which I mean cheaper cars) like Swift, KUV and Figo get sold out and you’re left with sedans and luxury cars like Mercedes. Now if you can afford the Mercedes then by all means book even half day a prior! When you book online, keep checking for offers from Zoomcar or check out websites like Coupondunia and Groupons, who always have some discounts you could benefit from. After I had booked my Zoomcar, I noticed that Coupondunia was doing a Rs. 600 off for first time users. Bummer! I had the option to pick the car from the Kempegowda airport on landing Bengaluru but the package was even expensive since the airport is on the outskirts. Also I would lose unnecessary kilometres. And Zoomcar charges an additional 250Rs for terminal pick up. So I took the city shuttle service to Bengaluru…obviously to save money. An Uber would have cost me 800Rs. The bus cost me 230Rs. I had chosen Rajaji Nagar as my preferred location to pick the car since it was closer from a friend’s place who was to join us. An hour before my pick up, Zoomcar customer service called to inform that the pick-up location has changed since my car hasn’t arrived yet. My new location was Orion East mall in Banaswadi. Dunno where the hell that was, but anyway, I said ok, because Zoomcar would reimburse my travel to reach the location. My car and the customer representative waited for me in the lower basement of the mall. He took a picture of my licence again. Then took a picture of me standing with the car. He would use that in case I disappeared on them. Next, he took me through their check list which had car papers, insurance, PUC, etc. and noted the kilometres. Zoomcar gave me 30% fuel. The rest I was supposed to add on my own and claim it on producing bills. I did a quick look-around for any scratches or dents the car may have and clicked about ten pictures just in case they turn back and say that I put these scratches on their ‘brand new’ car. Thirty minutes after all the checks, we were ready to hit the road. The drive was smooth and the condition of the Figo was pretty good. I own a Figo too, so driving this one wasn’t a big deal and I immediately got acquainted with the roads. In two hours, we were in Mysore. Over the next three days, Zoomcar was our companion and we checked out almost all the popular and not so popular places in and around Mysore. 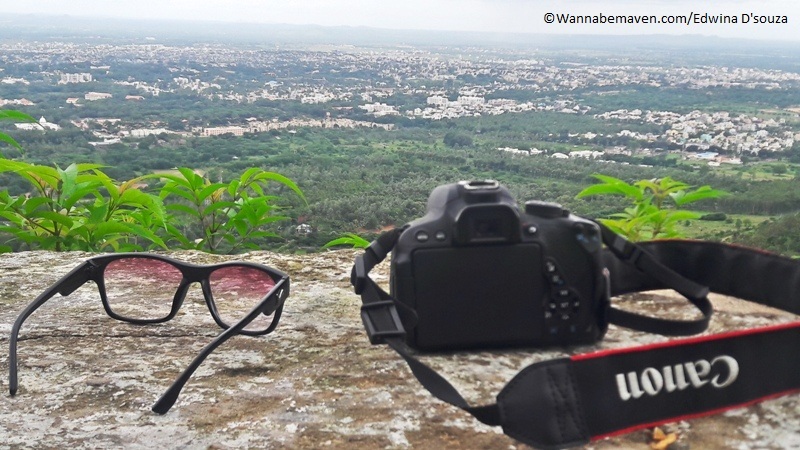 From Srirangapatna to Chamundi hills to Balmuri falls, we saw it all! 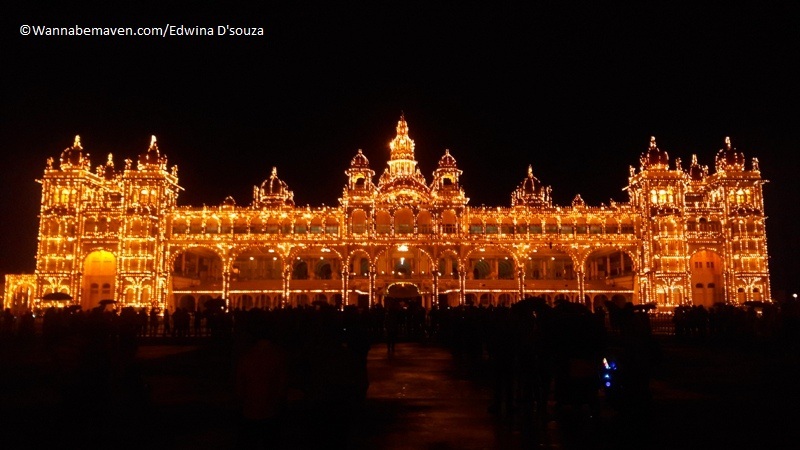 On the last day, we saw the Mysore Palace lighting at night, before heading back for Bengaluru and reached at 12.30am. The next morning, I dropped the car back to Orion East Mall. They did a scan through to see if the car was returned in the same condition in which we took it; and also checked the kilometres to see if we had exceeded, which we had. We paid Rs. 1344 for exceeding by 112 kilometres, which I thought was fine considering the run the car had. We added fuel worth Rs 1000 which was deducted from our final sum. Zoomcar had also charged us a late fee for dropping the car an hour later than expected time. However, I managed to speak with the customer care and got that waived off since they had changed my location from Rajaji Nagar to Orion East Mall which resulted in the delay. 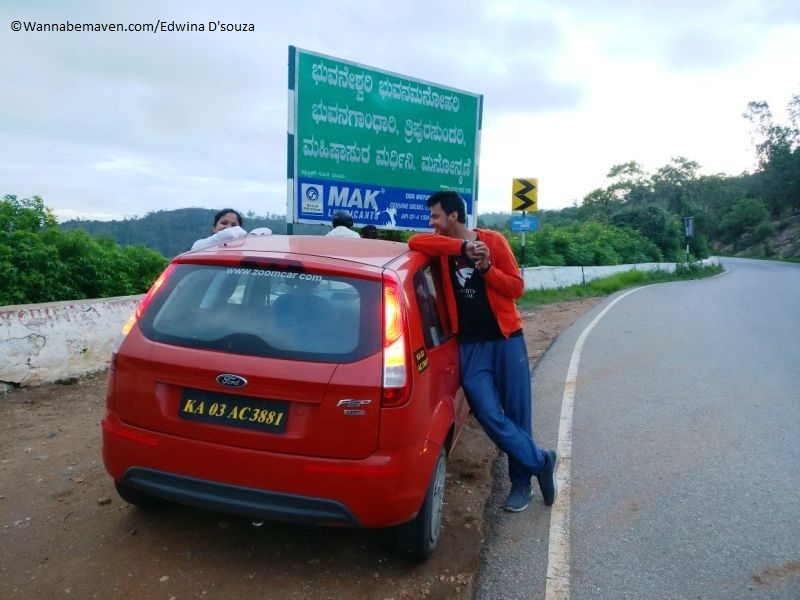 In the end, our total Zoomcar charge for this trip was Rs. 9034 for three days. Sweet deal, I’d say (when split into three). Anything else, you need to know? Vehicle speed is remotely tracked through an in-car device. So you’re not supposed to drive beyond 125kmph. I was enjoying the drive so much that without realising I once reached 120kmph and then got an alert that I need to slow down. If you over-speed, Zoomcar adds a penalty of Rs. 2500 to the final bill. If there’s a noticeable damage or scratch to the car while driving, the charges can go up to Rs. 10000. Although, they’re usually considerate if the scratch is smaller than a key size. This is at their own discretion! If you’re a group of folks into road trips and like the flexibility of doing things your own way, Zoomcar and similar concepts are a good option. But drive safe. It’s not your car to damage! Adventure, bangalore mysore roadtrip, Mysore, Offbeat Experiences, Reviews and Recommendation, Road Trip, Road trips from Bangalore, South India, Travel, travel related products and service, Travel Tips, weekend trip, weekend trips from bangalore, Zoomcar review. Bookmark. 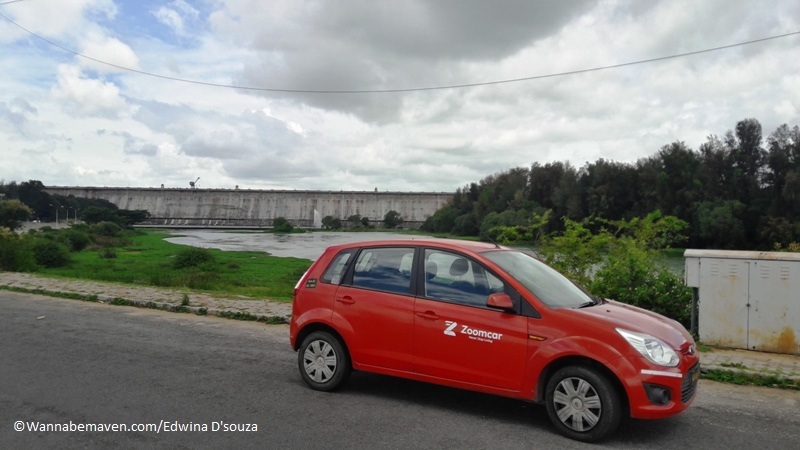 Even I am traveler based out of Mumbai, but I must says my experience with zoomcar was not as gr8 as its been hyped. I have tried 4 times thinking its would be the better experience but I have always suffered. Sometimes it was the vehicle and sometimes the representative, trouble creator. I am sorry but honestly I had bad experience.